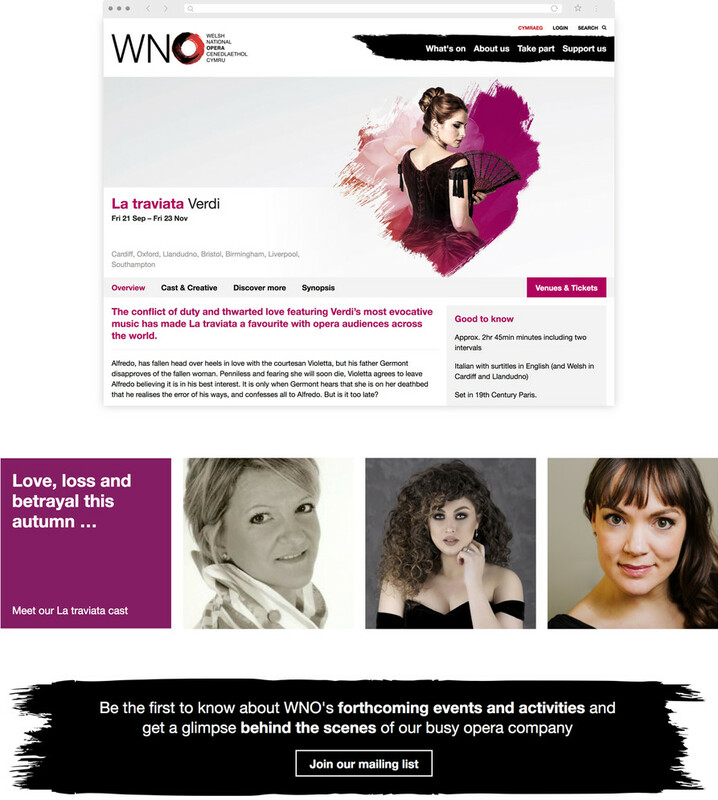 Working with the Welsh National Opera Marketing team, project manager Laura Evans, and in consultation with all WNO departments, we created a website that better showcases the organisation’s people, and their wide-ranging output – on stage, on the streets, online, and in schools and communities. The website has been carefully designed to be distinctive yet straightforward – not least because this is a dual-language website; in English and Welsh. Simple interface design accommodates longer words or phrases – in either language – without changing or breaking the layout. Neat and informative What’s On listings are easily filterable, with particular emphasis on finding events by venue location – WNO is a touring company after all. Event pages are designed to work with wildly-varying amounts of content. When a new production is announced there's very little to put on the page but when underway, the team have huge amounts of content to share – from behind-the-scenes photos to press quotes, audio clips to audience reaction videos. 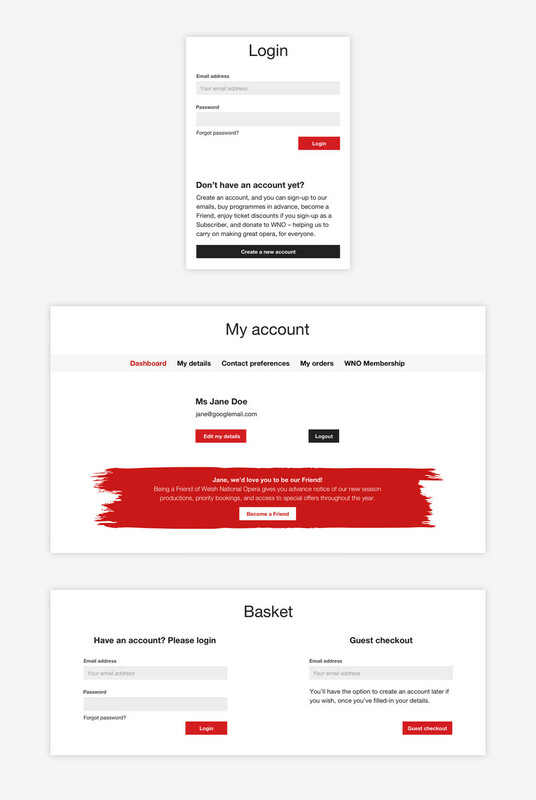 Although WNO don’t sell tickets, they’re part of Wales Millennium Centre’s Tessitura consortium, and the website integrates with the Tessitura API for CRM and fundraising. Each ecommerce transaction has been carefully planned-out to be as quick as possible. And people can easily manage and edit their personal information in the account section. Despite doing lots of clever things behind the scenes, the considered and straightforward user-interface keeps all Tessitura processes simple and intuitive for users. Can I just say a huge thank you … the site's looking absolutely fantastic.